As a science/STEM teacher by day, I have had the opportunity to learn a lot about sustainability. Sustainability is often talked about with regard to the environment and natural resources. Sustainability of natural resources means we don’t consume more than can be regenerated – we use practices and products that are capable of being maintained and sustained. The word sustainability, as defined by Merriam-Webster, means “1. Capable of being sustained. 2 a: of, relating to, or being a method of harvesting or using a resource so that the resource is not depleted or permanently damaged”. So I ask you: If you continue with your schedule like it is today – are you capable of being sustained? Were your personal resources (physical, emotional, spiritual, financial, etc.) used in ways that won’t lead to permanent depletion or damage? Cultivating self-care as a teacher is similar to cultivating other sustainable practices – it takes choice, intention, and commitment. And it yields fruitful results. Cultivating self-care as a teacher means that we cultivate habits that sustain our personal resources. strength, physical capabilities, alertness, sleep amount and quality etc. For more ideas, you can read my post Taking Care of Yourself as a Teacher. I travel a lot for work, so I have the opportunity to use up a lot of little plastic water bottles. But I don’t. I won’t buy water while i’m traveling. Instead, I pack an empty reusable water bottle in my carryon and fill it up at the drinking fountain. Now, I’m not the most sustainable person on the planet by any means – I have a long way to go – but this is one small act that I do that I am committed to. Personal self-care and sustainability are the same way. This doesn’t have to be an all-or-nothing battle. We just need to choose self-care as important, seek out opportunities to intentionally take a moment for ourselves and care for our personal resources. And we need to stay committed to the journey! As I have said in previous posts, use resentment, overwhelm, and negativity to be your barometer for unsustainable practices. When those feelings creep in, think about what needs to change. Do you need to realign your boundaries and priorities like we discussed in my post on cultivating work-life balance, or do you need to take some time out to rejuvenate your spirit? Assess the situation, change something, and move forward! 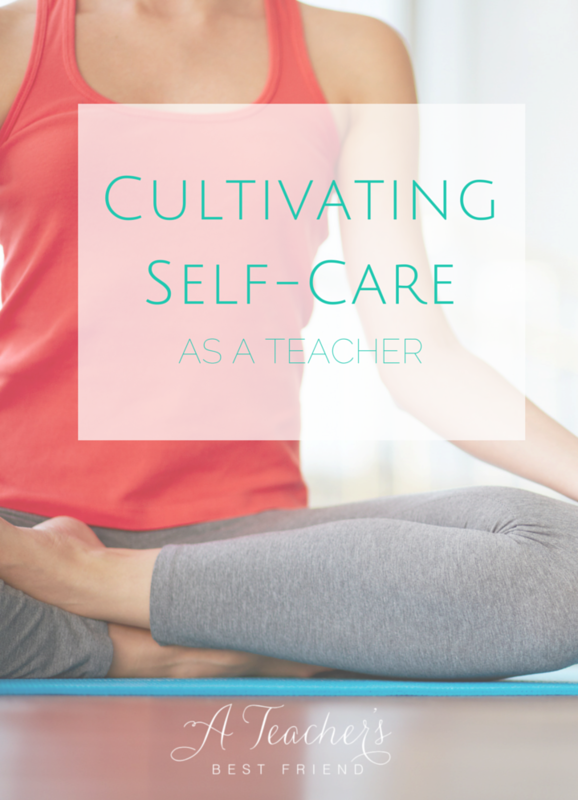 Cultivating self-care as a teacher is critical for a year of wholehearted teaching. So take this moment to reflect on what activities rejuvenate your personal resources. Then schedule those activities into your week.